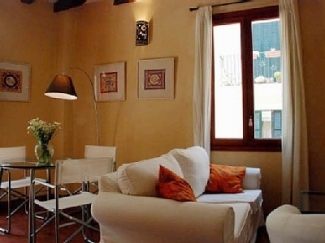 Builging with two apartments (70m2 each) situated in the heart of Palma Mallorca, in the historic centre, on a typical Mallorquin square. 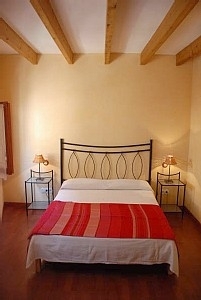 The apartments has been restored tastily, thereby mixing the old Mallorquin architecture with modern style. The apartments have a living room, with a balcony, a fully equipped kitchen and a dining area, a bedroom with a double bed and a windows and a nice Mallorquin style cupboard, another bedroom with two single beds and the bathroom is modern style ad completely made of marble. The living room has a sofa and an armchair and a table with four chairs. 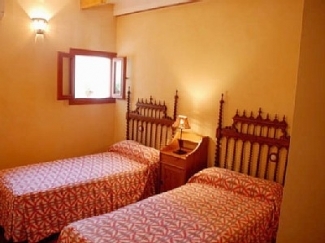 It is ideal for four people. The apartments are very joyful and has excellent views to the square. The Mallorquin style has been conserved; the windows are made of wood and the wooden rafter can be seen on the ceiling. It has parket on the floor and all the windows are double glass. The building has a lift.THe apartments are in a charming square which is in front of an old romantic church. 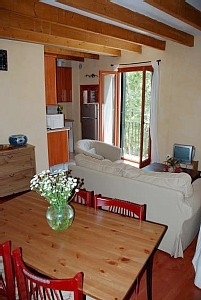 THe top roof has a double bedroom with a bathroom in suite, a livig-kitchen open area with acces to a private terrace. he terrace is big enough two put a table with chairs and two sunbeds. The terrace is very bright and sunny. For more information please ask me for my webpage.